Luci B giving us some saucy side eye. 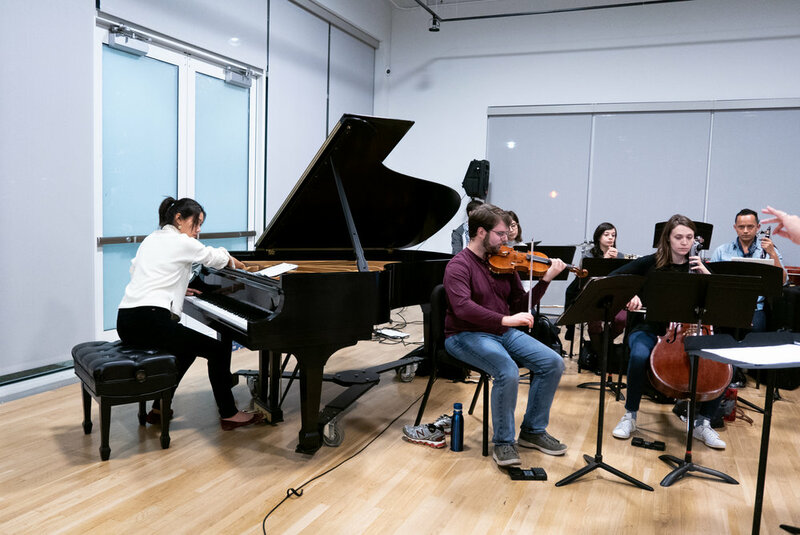 If you’re reading this you’re probably considering coming to our upcoming concert this Saturday BACH/BERIO at the Sawyer Yard’s Silos (HOT TAKE: you should DEFINITELY come). 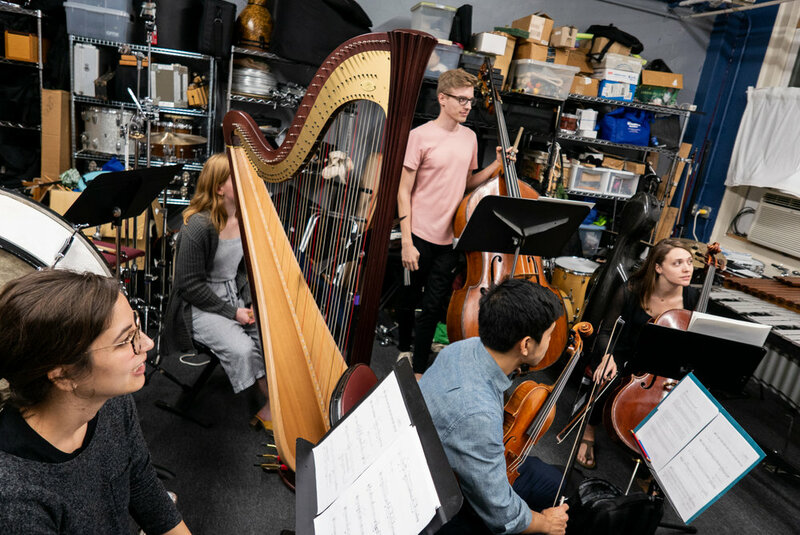 This concert is a site-specific installation: starting at 1:30pm and 3pm, seven of our fantastic players will each be occupying a different silo. 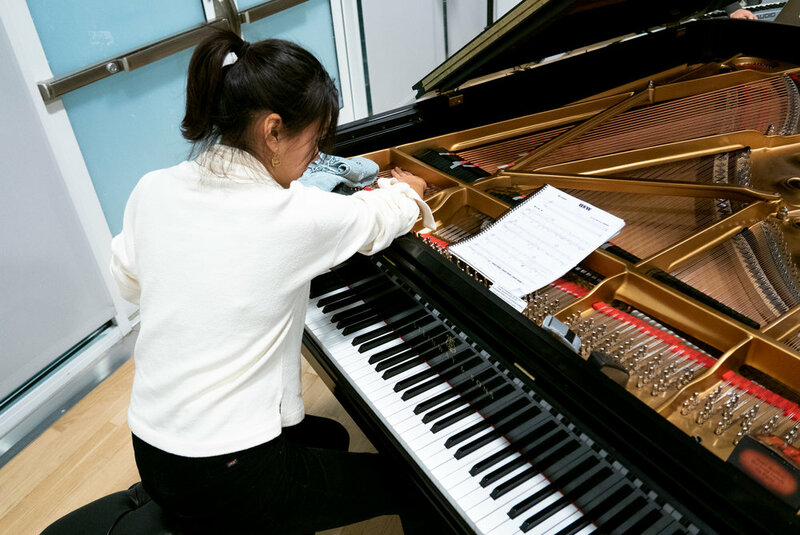 In their personal silos, at specific times, they will each be playing excerpts of pieces by Johann Sebastian Bach and also Luciano Berio. Now, you all have probably heard of J.S. Bach, but maybe are not familiar with Luciano Berio. Lucky for you, Berio is one of my all time favorite composers! 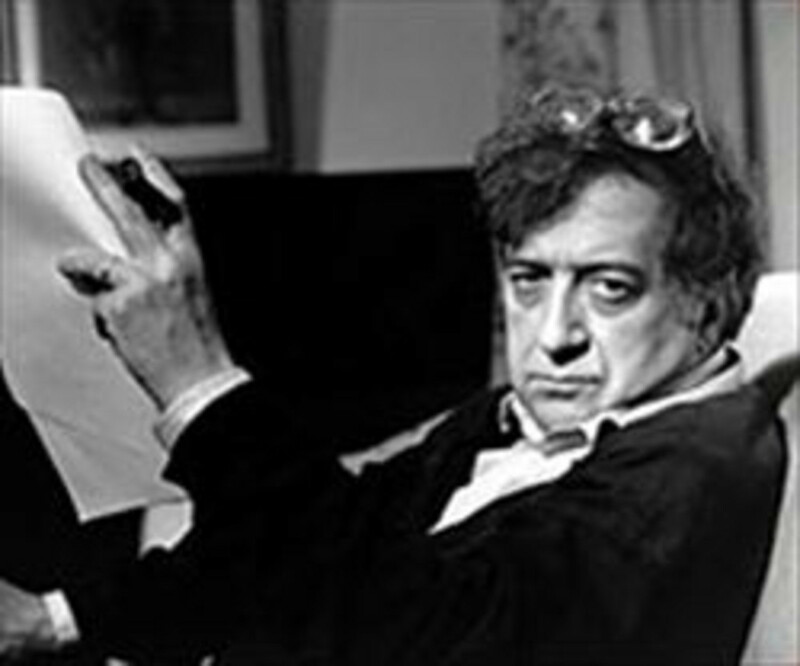 So, today I’m going to introduce you to Luciano Berio and his famous “Sequenza”(s) that you will be hearing on Saturday! What you will be experiencing on Saturday are his incredible “Sequenza”(s). Starting in 1958, Berio wrote fourteen wild solo works, each titled “Sequenza”. He wrote them for flute, harp, voice, piano, trombone, viola, oboe, violin, clarinet, trumpet, guitar, bassoon, accordian, and cello. Each of these pieces is wildly different and demands virtuosic playing in terms of technical skill and emotional range. They also each heavily feature the use of “extended techniques”. For those of you who may be unfamiliar with what “extended technique” means, it just means using the instrument to make sounds that are traditionally not associated with it. That could be a harpist slapping the wood of her harp, a flutist singing into their flute, or a singer grunting, gurgling, and screaming. What is incredible about the Sequenza(s) is that they contrast beautiful playing with these techniques, drawing the listener into a sound world that mirrors the absurdity and intensity of real life. 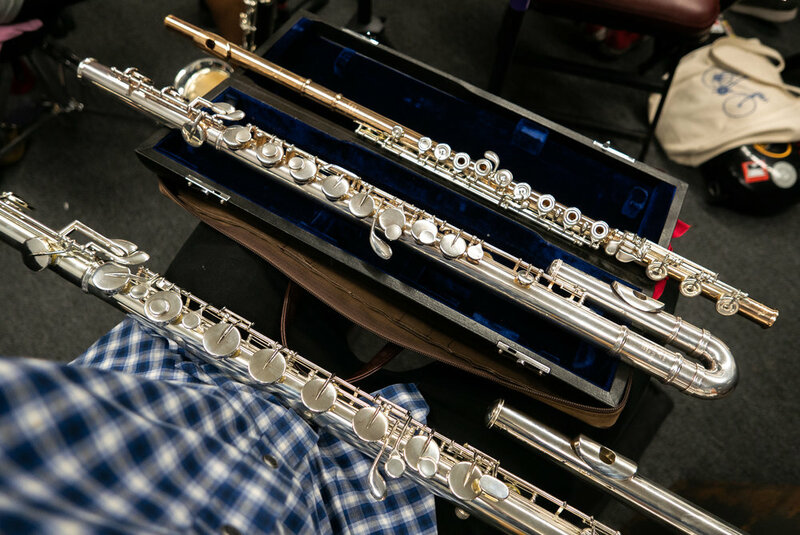 It’s as if each piece explores every possibility of each instrument, allowing us to hear them in a completely new way! Like I said, these are some of my all time favourite pieces of music. If you’re on board for a trippy Saturday afternoon, I definitely suggest coming out to hear BACH/BERIO. Make sure you register for a spot, we’re filling up quick! Can’t wait to see you there! Our upcoming concert bayou born is in only two days away!! It will be up at the Live Oak Meeting House, which is also a James Turrell designed space. 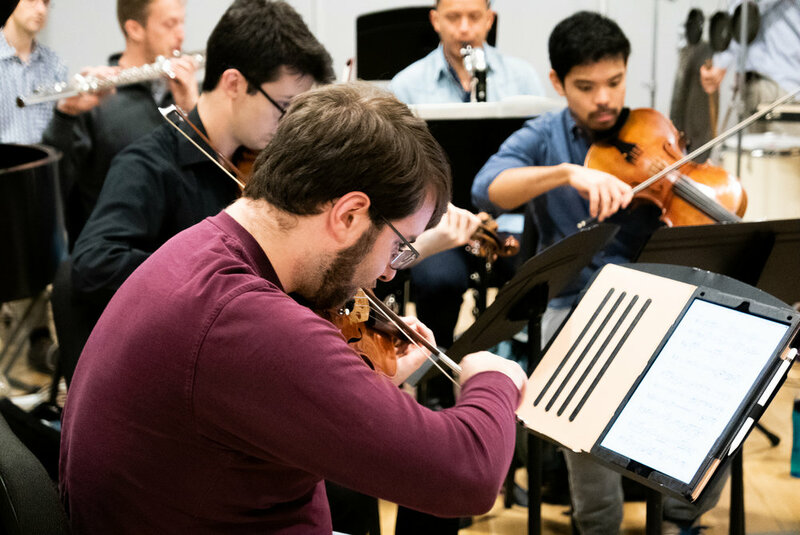 If that isn’t enough to motivate you to come join us, let’s get to know a couple of the composers on our program, René Eespere and Evan Chapman! First up we have Estonian composer René Eespere! Eespere was born on Dec 14th, 1953 in Tallinn, Estonia. Eespere became publicly known first by his allegorical short ballets A Man and a Night, The Furies, and Ancient Dwellers that were all staged in the 1970s at the Vanemuine Theatre (Tartu). He is well known for incorporating idomatic influences of baroque and rock music into the world of estonian folk music and minimalism. Spiritual and ethical questions dominate eespere’s work, including contemplations on existence and humanity. He is especially well known for his vocal music and using that idiom to carry these ideals. Up next is the multi-talented Evan Chapman! Evan Chapman is a composer, percussionist, and filmmaker out of Philadelphia. A signature of his work is his seamless blend of multimedia and contemporary music. Especially his skills as a filmmaker have brought him in collaboration with many prominent names in classical music like Bang-On-A-Can, Chris Cerrone, Alarm Will Sound, and Julia Wolfe. Here is the trailer for an incredible collaboration between him and So Percussion! In addition to his incredible film work, he is a founding member of the contemporary-classical percussion trio/band Square Peg Round Hole. I’m really digging their stuff, take a listen to one of their videos below! If you’re as into Evan’s music as I am, check out one of his many compositions with video up on Youtube! This dark, pulsing number is one of my new favourites, especially with the dance component. Hope you all had a great time listening to all that groovy music! If you want more (which I hope you do!!) make sure to sign up for a spot at bayou born this Tuesday night! Did I mention it’s free? "how they flow apart and together"
Happy 2019!! As January comes bursting in to all of our lives, we here at Loop38 thought it might be nice to take a moment to reflect while looking forward. What better way to do this than with the music of our time, inspired by our city? That being said, our program on January 29th is BAYOU BORN, happening at the Live Oak Meeting House in Shady Acres. The meeting space in was designed by James Turrell. For those of you unfamiliar with James Turrell, he is an artist whose work primarily deals with light and space. He designs rooms that welcome in the sky and ask us to look out and above to the beauty of the world around us. All that being said, when percussionist Craig designed this program he thought Live Oak Meeting House would be a perfect compliment to this music that asks us to listen to our own internal pulse and look outward. 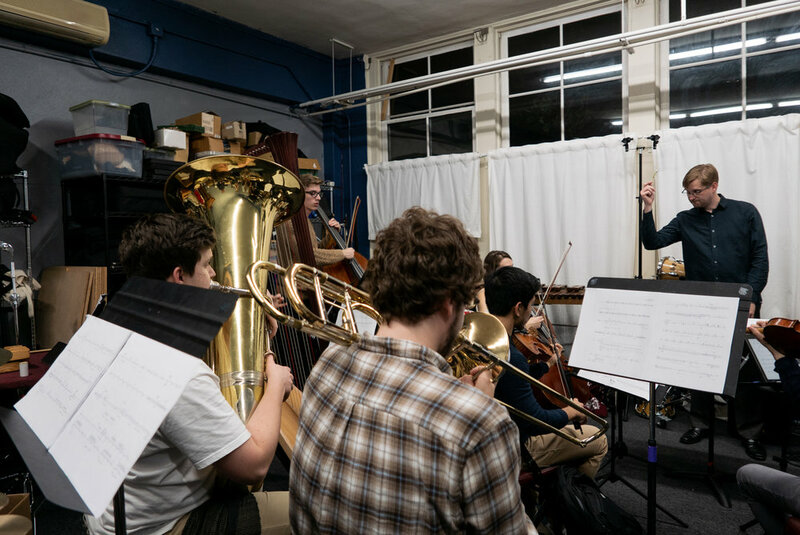 The other incredible pieces on the program include magnetic works by Julia Wolfe, René Eespere, Evan Chapman, and Arvo Pärt. We’ll be telling you all about these pieces throughout this week, so make sure to check back here! What is so compelling about this program is that it is an invitation for all of us to participate. We all live in this beautiful, complex, and sometimes confounding city. We know the sounds of our bayous and of our own lives. This concert will be a journey in exploration and an invitation to quiet our minds and hear what fills us. We really hope you’ll come and join us for this evening of music, meditation, and love for our city. *Thank you to the Deep Listening Institute for the information on Pauline’s mission and brilliance! 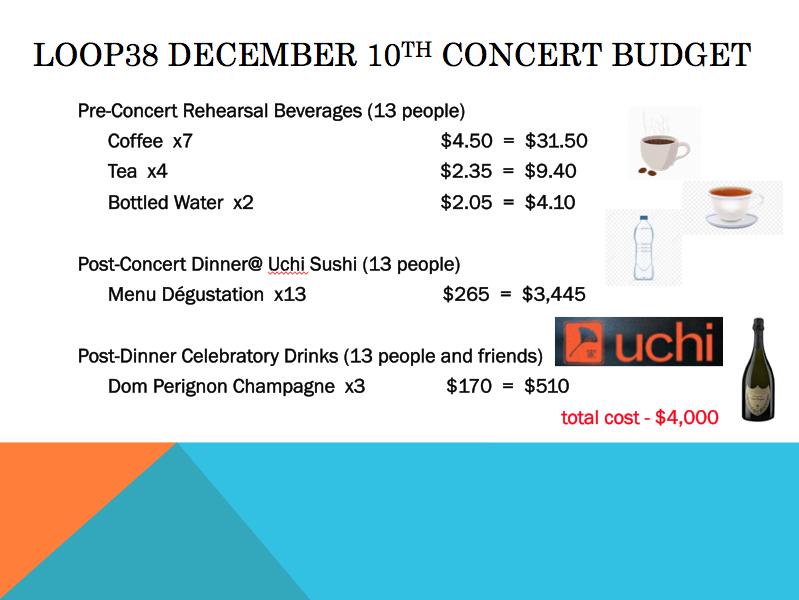 Words From Our Clarinettist: How Do We Spend Your Money? Hi all, Thomas Frey here! Have you ever arrived to a concert early, sat down in the audience, and, watching the musicians meander to their seats and nonchalantly test their instruments, wonder to yourself how much do these people make? Is it a lot, or not that much at all? Maybe your cousin was a musician who needed to teach to make a living. Maybe your aunt hit it big on The Voice, holds two platinum albums, and has a garage full of Ferraris. Musicians are strange people anyways, especially when it pertains to our income. So how much DO we make? The unfortunate reality is that the spending we cut when our budget exceeds our income comes from our musician’s pay. Now $6,000 is a lot of money, don’t get me wrong. 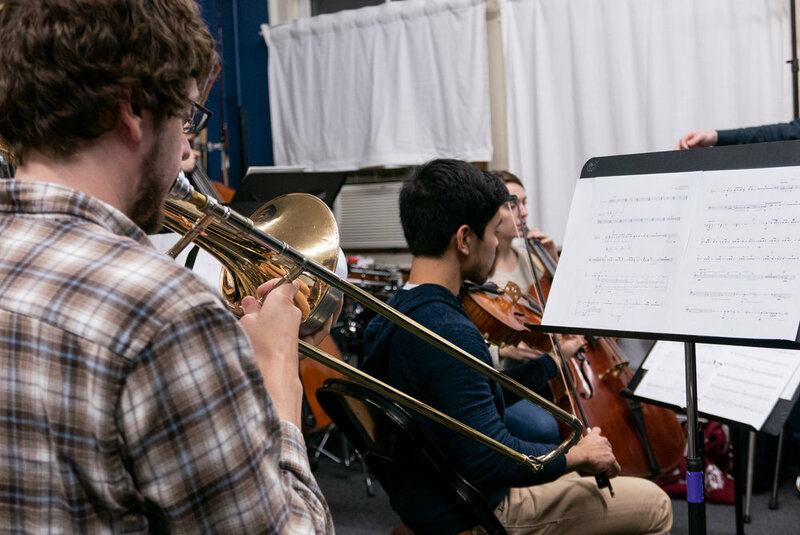 But when a stage-full of talented musicians dedicate all of their energy to bring unique, and underplayed music to life, spending hours practicing, rehearsing and thoroughly learning these pieces, we want to give them as close to a fair wage as we can. To upset this deficit, many of our core artists donate part or all of their pay as honorarium for our guest artists. 15 extraordinary people already donated to our campaign online, covering a whopping 3rd of our $4,000 #GivingTuesday donation goal. 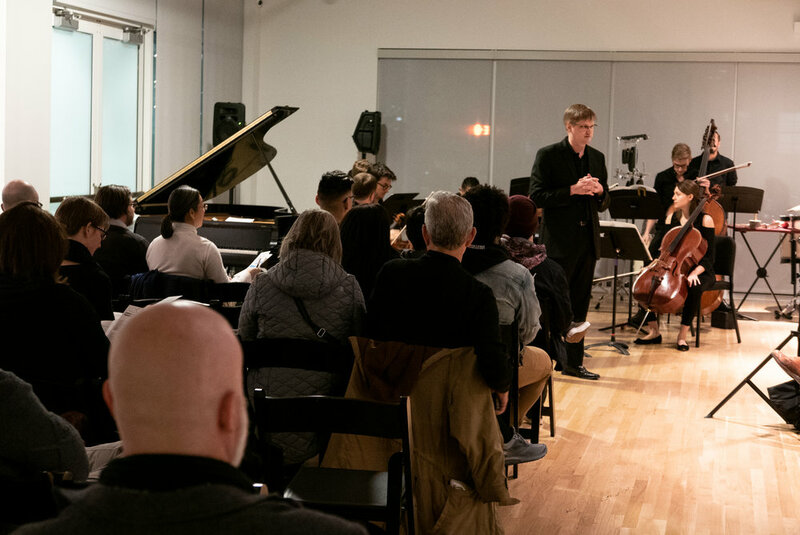 As a contemporary ensemble we want to share new music of all types to the Houston community we love, with its people of all types and backgrounds. Above all else we want to give you the opportunity to hear some weird music, whether you’re into that or not. If you enjoy the music we make, great! If not, that’s okay; it is a little strange after all. If you do enjoy our music, however, please consider donating so we can keep performing it. However big or small, every bit helps make us a permanent part of Houston. Today we’re going to be getting to know the final featured composer on our November 14th program: Lewis Nielson! We were lucky enough to have Lewis come and visit us this past weekend to offer valuable insight on his piece USW. When he isn’t coming to Houston to ~hang~ Nielson is busy doing all sorts of not-so-low-key incredible things. 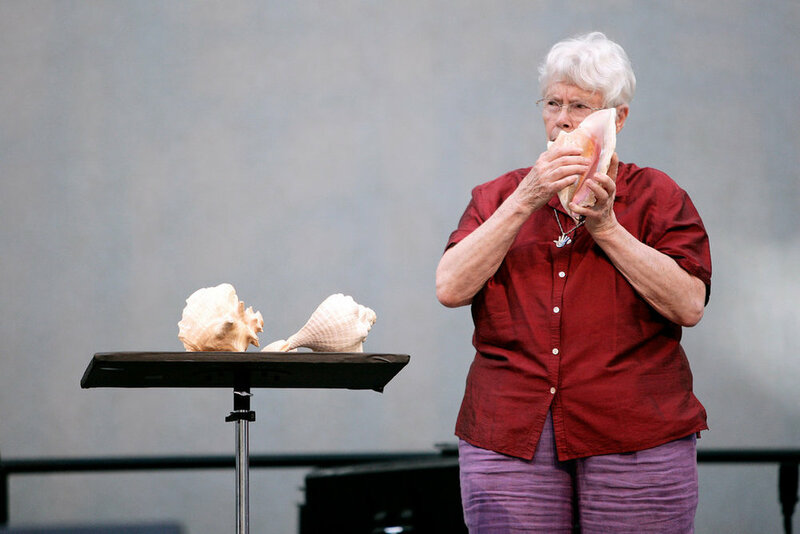 He was the chair of the composition department at Oberlin College, had received numerous awards, and has had his works recorded and performed by symphonies and groups across the United States and the world. His music is infused with the picturesque and the political, his work that we will be performing on Wednesday is no different. Which composers have inspired your work? Not many composers, really. If anyone, Helmut Lachenmann and his ability to do what is necessary, not what others would do regarding the present day. I love the music of my friend Reiko Füting in NYC--he's one of the few I listen to these days. Mostly, I spend my time listening to Renaissance polyphony (Ockeghem and Dufay mainly), some Bach, some Beethoven and Chopin piano music. The present is too present. The past helps me hear without being influenced by the actual materials. What is your favourite piece of music theatre/opera/performance art etc? How did you find Houston on your little visit!! Wetter and colder than I had thought it would be! I live in Vermont now and I was expecting some heat..
Nielson’s work that we will be performing on Wednesday is USW, a multimedia chamber opera based on the life of revolutionary Rosa Luxembourg. Nielson himself combined fragmentary passages in several languages from Luxemburg, Karl Marx, German poet Georg Trakl and F. Scott Fitzgerald. The overall work is striking in it’s beauty as well as it’s affect. If that hasn’t peaked your interest, our bassist Austin will also be singing in the work! You do not want to miss this, he sounds fantastic. I just came from the peaceful Rothko Chapel, the site of our performance of Georg Haas’ in vain. On this Wednesday afternoon, the Chapel was only occupied by a couple people sitting there in bliss-filled silence. It is the end of a challenging work day, and I’m feeling pulled in numerous directions, my mind struggling to unwind. There I sat, between the deep purple paintings, recalling the wildly-different energy that we filled the room with just last week. We made extraordinary music together. Music that had never been played here in Houston before. Music created by a wonderfully talented group of musicians that constantly amaze me. Music enjoyed by an enthusiastic gathering of people excited to experience something new. 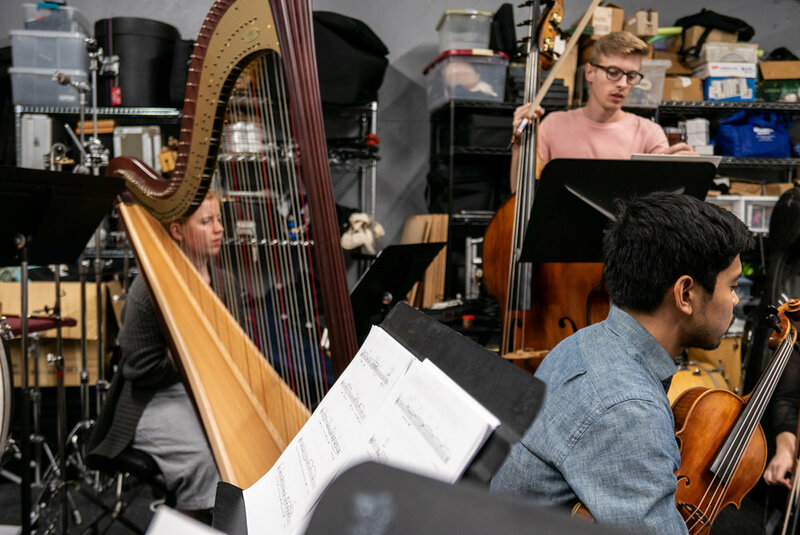 Even when rehearsals and concerts demanded that we learn challenging parts and move large instruments up and down seemingly-endless flights of stairs, being a part of Loop38 provided a sanctuary from the bluster of life. Similar, yet wholly different, to the sanctuary that I found today in the chapel, as I sat there reflecting on my experience this year with the band. The inaugural season and the fundraising campaign have now ended, but the experience will live on as we turn our gaze to next season. Please keep Loop38 in mind as we set out to create new experiences throughout Houston next season, I can’t wait until we come together again! 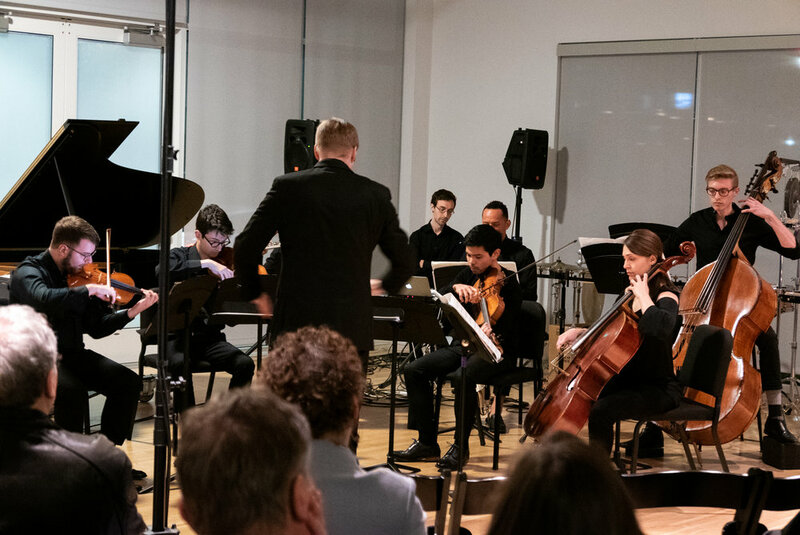 Please consider making a 100% tax-deductible donation today to help us create more experiences like Music in Darkness at Rothko Chapel happen in the future. Thank you!